Well, Readers, by now, you probably have figured out that some of us live in the frigid Midwest. Along about February, I get tired of chiseling my car out of ice, getting gas in below zero temps, and trying to come up with unique sweater, skirt and fleece-lined tight combinations to wear to work. 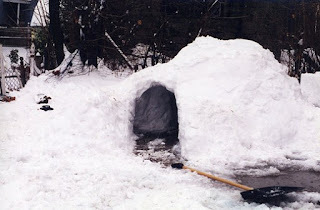 So, I was thinking about ways we all could embrace the season and enjoy the cold a little longer. 3. Bundle up and build a snow fort. What amazing fantasy setting can you build in your yard? Grab some buckets and food coloring, and you can even make colored snow bricks. 2. Enjoy a local snow celebration. Here in the Twin Cities, we have an annual Winter Carnival. Last year, we toured ice sculptures, listened to an outdoor concert, and ate delicious pasties from a food truck, all in below-zero weather. 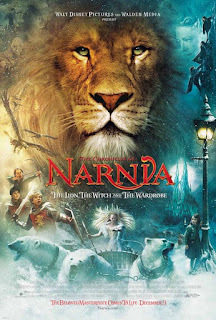 Fair warning: I started reading The Chronicles of Narnia to my kiddos when they were four or five, and there was a period of time where my oldest daughter talked to Aslan and other characters more than she talked to me. How do you embrace the long, cold, post-Christmas season?